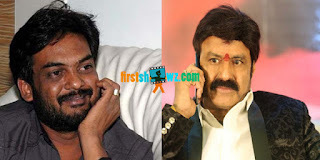 We at firstshowz.com have reported to our viewers that Bala Krishna has signed up a movie with director Puri Jagannadh. The latest news is #NBK101Launch and Puja will be held at 10 AM in Hyderabad. The makers have earlier planned to shoot this untitled film in London, but now they are planning to shoot the major schedules in Hyderabad and Spain. The unit has planned a month long European schedule, where crucial scenes and couple of songs will be canned. This high budget movie touted to be a powerful action entertainer will be bankrolled on Bhavya Creations banner. More details are awaited.